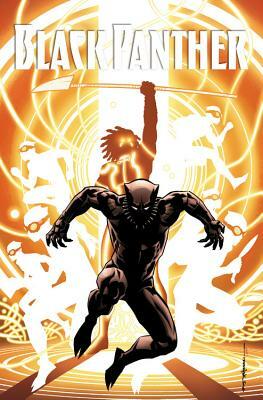 Dark times for the Black Panther, as Ta-Nehisi Coates chronicles the fi nal days of the kingdom of Wakanda! As Zenzi and the People poison Wakanda's populace against their king, a cabal of nation-breakers is assembled. With few allies of his own to call on, T'Challa must rely on his elite secret police, the Hatut Zeraze -and fellow Avenger Eden Fesi, a.k.a. Manifold! Meanwhile, Shuri's spirit journeys through the Djalia...but what awaits her there? The blockbuster reinvigoration of the Black Panther continues!